Inflatable bull mats are great for any indoor or outdoor event. Our Custom Inflatable Bull Mats with the addition of a mechanical bull will ensure hours of a great time. Each inflatable bull mat can be designed with the colors, design of your choice and is a guaranteed show stopper at any community, corporate event or party. These inflatable mats come in with an easy install and take-down design. All mats come complete with walls all the way around and plenty of landing mat space. 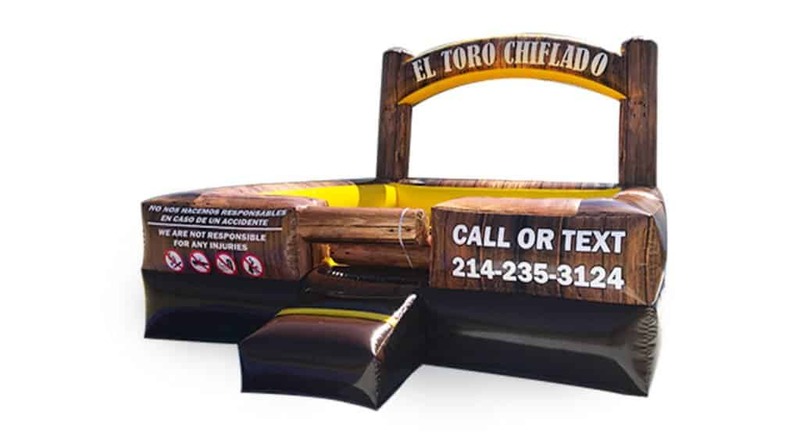 Request your custom inflatable bull mat free quote, today!